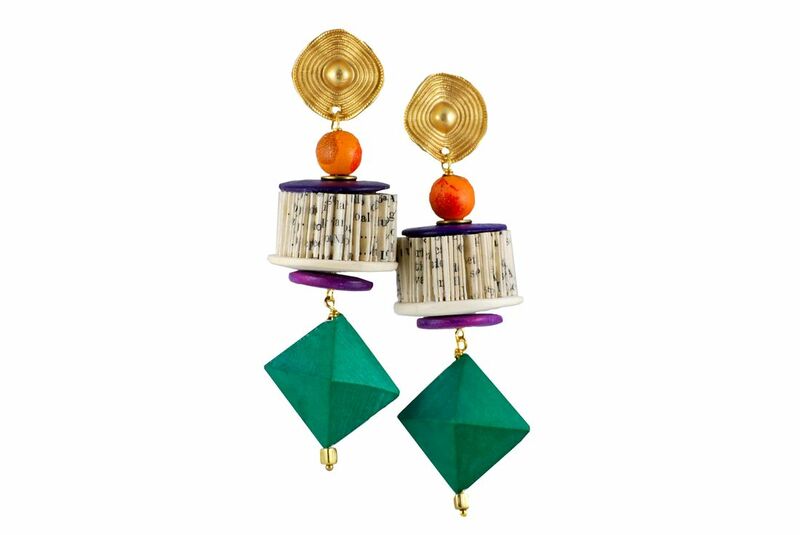 Hand made paper jewelry combined with a rhombus shaped gold galvanized zamak ear piece, off white and purple wooden discs, red, orange and green decorated wooden beads, super light green octahedron wooden beads and brass elements. Nickel free. 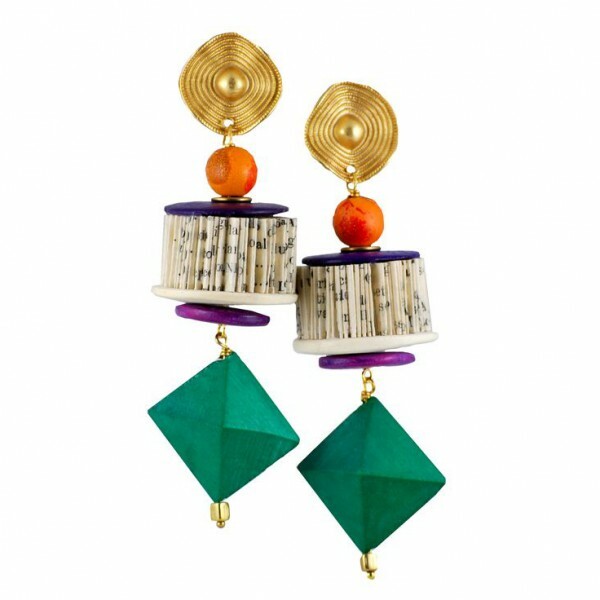 Hand folded paper; gold galvanized zamak (ear piece); wood; brass.